We are getting overexcited about our Knitting Holiday in India. It will be such a gentle way to experience the delights of India in good company and learning about working with colour at the same time. We’ll also be visiting some of the charities that we work with out there, and of course loading our suitcases with knitted goods to distribute once we are there. This week I’m off to Brighton to visit the studio of Erika Knight to plan the workshops for the holiday. (Sometimes I love my job.) We are also delighted that Rowan have generously agreed to supply goody bags for all holiday makers with all the yarn we will need to make gorgeous things. If you are tempted into treating yourself to an exotic knitting expedition check out the details. 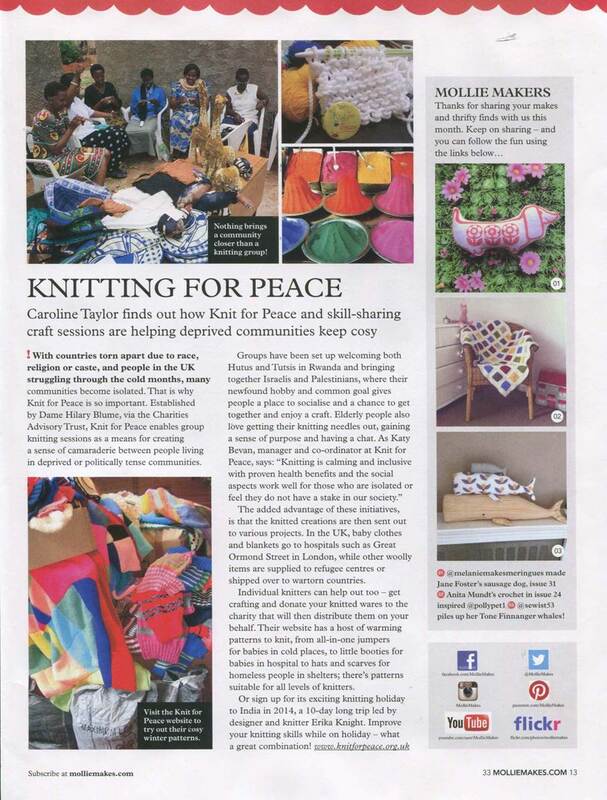 Meanwhile the lovely folk at Mollie Makes have written a little piece about us in their latest issue. 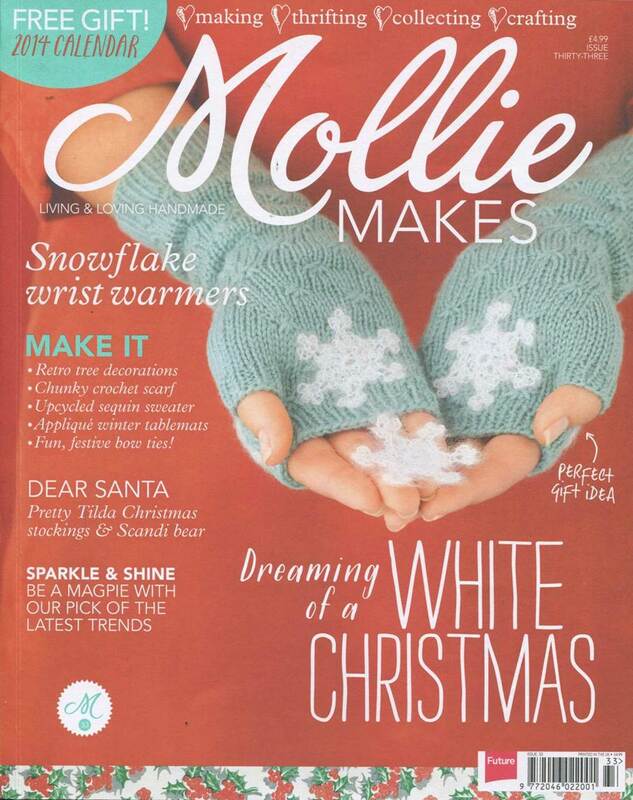 Whats more they have some lovely knitting patterns this month for fingerless mittens as well as a couple of lovely crochet projects. What’s not to like? Oh, and don’t forget to order your Xmas cards before they all go!